Penzance has featured in very few national events but it did so with the death of Nelson, the news of which was not just national, but international. Firmly believed today is the story that Penzance was the very first place in the country to receive the news of the great victory of Trafalgar and the death of Nelson. This is well described by David Mann with the news arriving at the Assembly Rooms in Chapel Street on Monday November 4th, while a ball was in progress, brought by the captain of a fishing boat. He had apparently met with a naval ship called the Pickle while out fishing in the Channel; Pickle, a small, fast schooner, was on the way to Falmouth with the news of Trafalgar and Nelson but was beating slowly up against an easterly wind and off the Lizard on Sunday 3rd November. She exchanged signals with some ships going in the opposite direction, explaining her errand. As soon as the Penzance fishing boat returned to Penzance, the Captain made his way into town to spread the news. There appears to be no written or published evidence of this story, but it seems not unlikely or impossible that as the wind changed, Pickle made faster progress to Falmouth and that the news therefore, reached both towns at about the same time. In any event, the Union Hotel in Penzance (previously the Assembly Rooms) makes much of it and has a panel outside, claiming the first announcement to the British public, of the news. Such news in Penzance could be disseminated quite quickly, despite the lack of radio and TV – the Royal Cornwall Gazette was widely circulated; the weekly market had a wide area of attenders, to exchange the gossip. Once the Council knew – and some members were undoubtedly at the Assembly Rooms – announcements could be made, the Town Crier informed, and orders sent out as to bell ringing, guns sounding and so on. As with the rest of the country, special celebrations were organised even before instructions from the King were received and few people in Penwith would have been unaware of the news after a day or two. Penzance had been long involved in the war with France, despite being a fishing port rather than a naval dockyard. Naval ships were frequently stationed in the Bay throughout the last half of the 18th century, there were close contacts between Cornish fishermen and their opposites in France, which included smuggling arrangements, and the rapid increase in the growth of schools and general literacy led to a wide general knowledge of what was going on. Penzance men had been taken as prisoners to France when fishing boats and cargo vessels were attacked. Fear of a Napoleonic invasion had led to the building or repair of gun sites all around Mounts Bay, which had in total nearly as many 24 pounder guns as Falmouth (10 compared to 14). 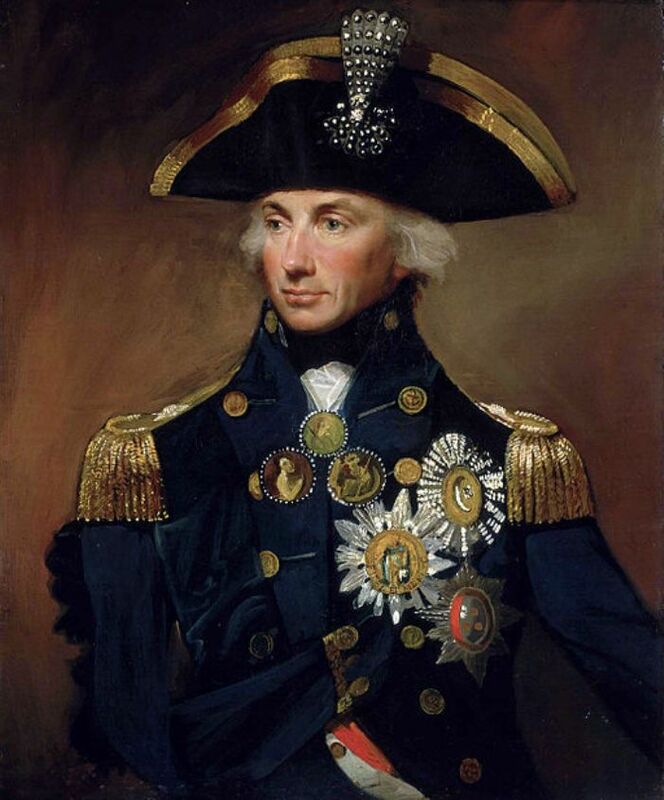 There were also many connections between the town and the navy, with at least one famous admiral, Pellew, as a close colleague of Nelson and the latter’s exploits in various battles were well known and discussed throughout the navy and by the public. For those not too interested in the arguments for and against naval battles ‘in line’, there was always the delightfully scandalous gossip about his private life with Lady Hamilton. One way or another, Nelson was clearly a man for whom the word ’celebrity’ might have been coined. In 2002 in a national survey, he was placed number 8 in the list of the 100 greatest Britons, never to be forgotten.